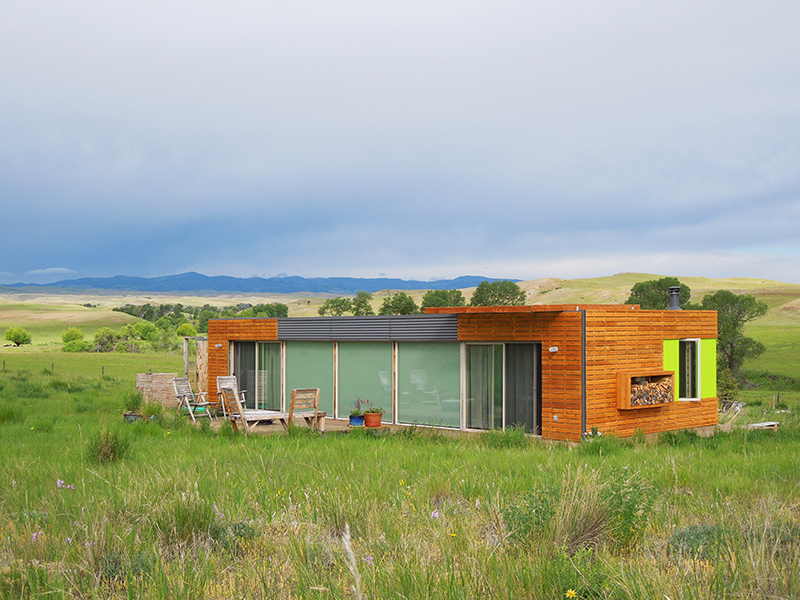 A home sold to a woman 10 miles down the road in dusty, grass-up-to-your-knees Montana. She paid $125,000 to put it in her backyard. 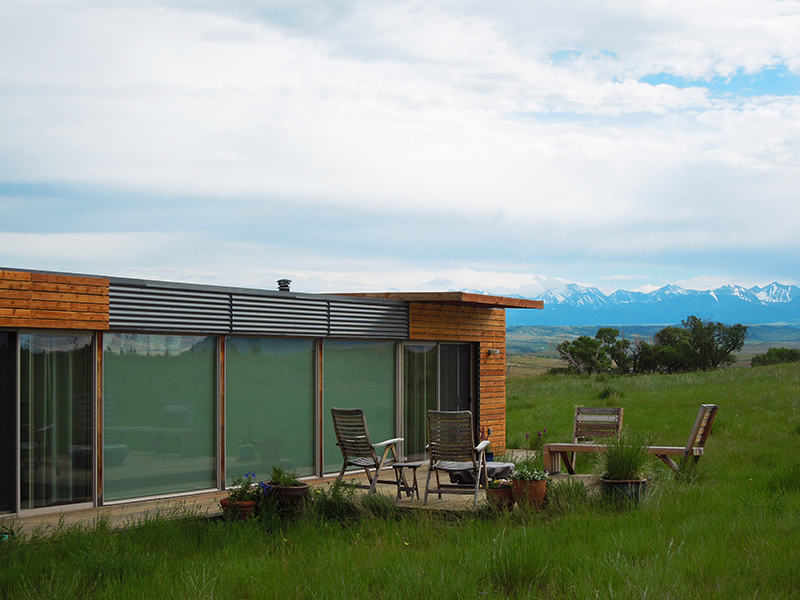 But it wasn’t your typical prairie-land homestead – it was a double shipping container. 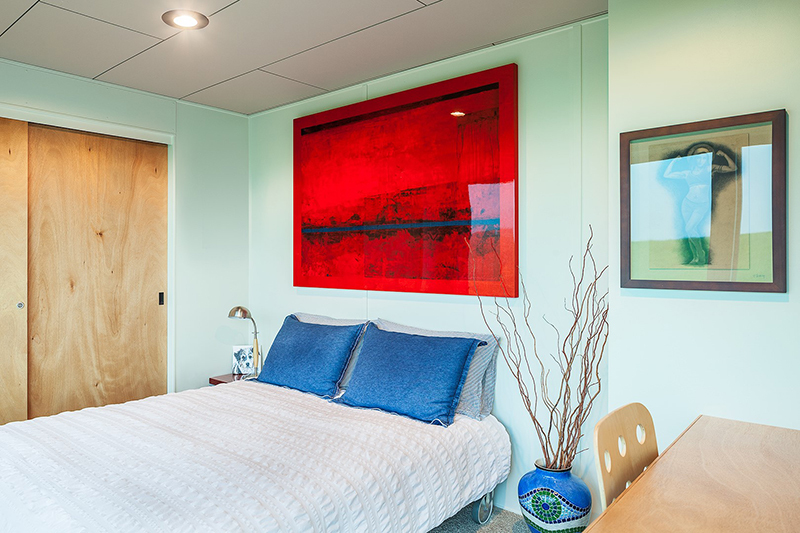 While upcycled homes have been popular for some time, it’s rare to see two 45-foot-long shipping containers combined into a single living space. Architect and former owner Ty Kelly had the vision. Born in Livingston, MT, but living in Washington state most of his life, he wanted to get back to his roots. He didn’t need a big place and had always been fascinated with shipping containers as a way of building. Saving money and reusing materials were important, too. When Kelly found the land – a 12-acre blanket of rolling grassland with views of three mountain ranges – he knew this was the spot. To show it off, he turned one of the long sides of his rectangular dwelling into a glass wall. It’s a stargazer’s dream, he says. 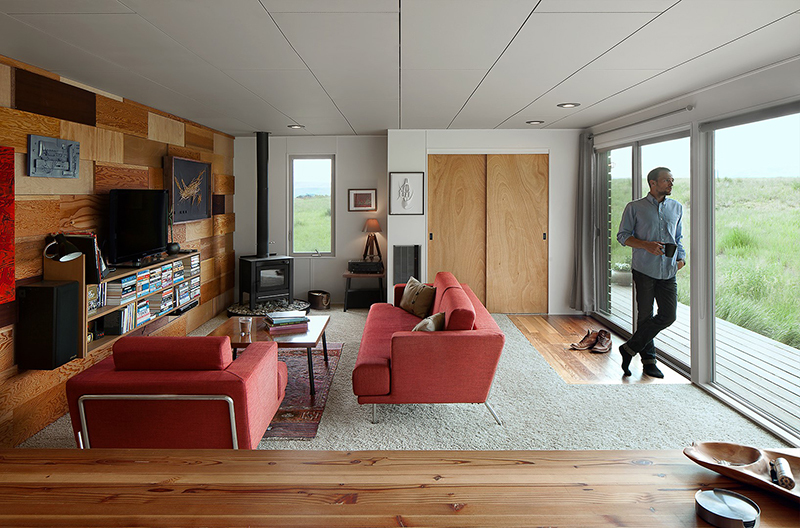 The roughly 700-square-foot space has 1 bedroom and 1 bathroom. 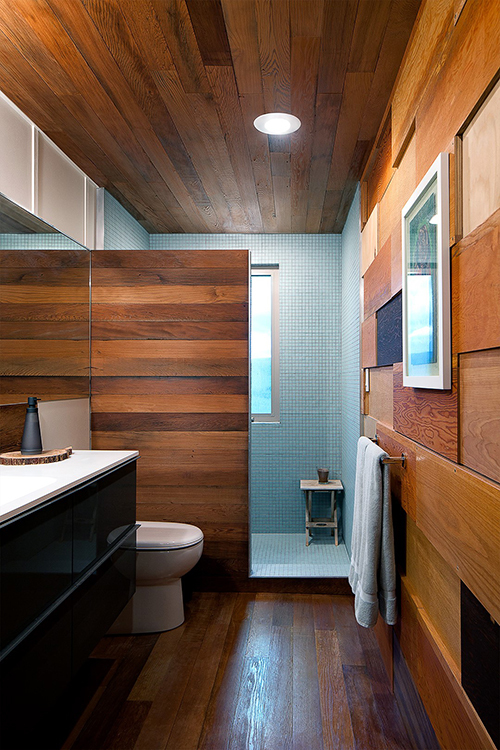 Unlike some shipping containers that feel cold inside, this one features lots of reclaimed wood Kelly used to warm up the space. As Curbed notes, it’s this blending of salvaged materials with a simple, elegant design that makes the house shine. 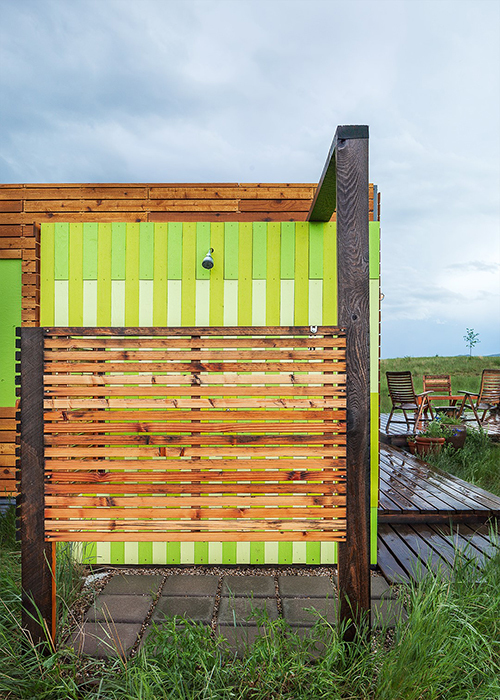 A neon outdoor shower is perfect for nature lovers looking to live on the wild side. It’s also one of Kelly’s favorite features. When the architect listed the home last November, his agent’s phone blew up. He had interest from coast to coast, but he ultimately sold the place to a woman down the road. She is planning to use the home to host her kids and grandkids when they visit. While the home’s physical address and ownership have changed, Kelly is glad the container remains in Livingston with that killer view. 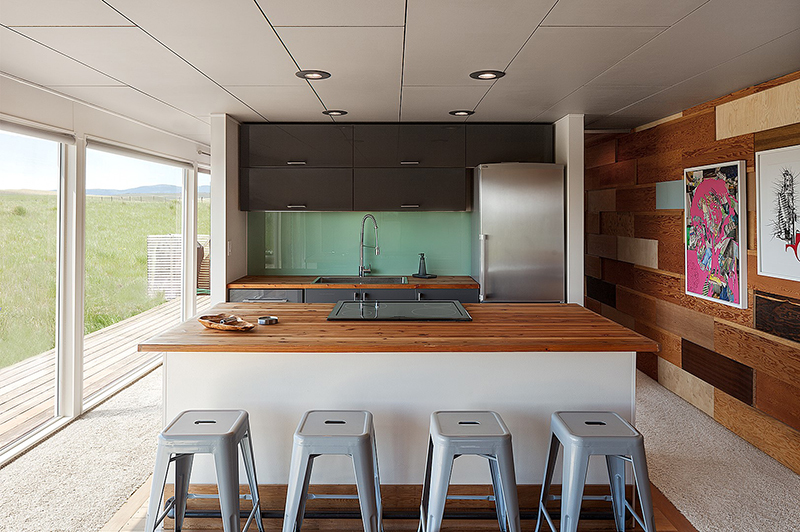 The post This Shipping Container Will Make You Do a Double Take – House of the Week appeared first on Zillow Porchlight.